DURING their days off, many truckies around Australia enjoy a few cold beers. They deserve it. After travelling the highways and byways our champion drivers chill out either down at a local pub or club, or at home. But many Spy has spoken to are taking part in the Ocsober initiative which encourages people to give up alcohol for the month of October. 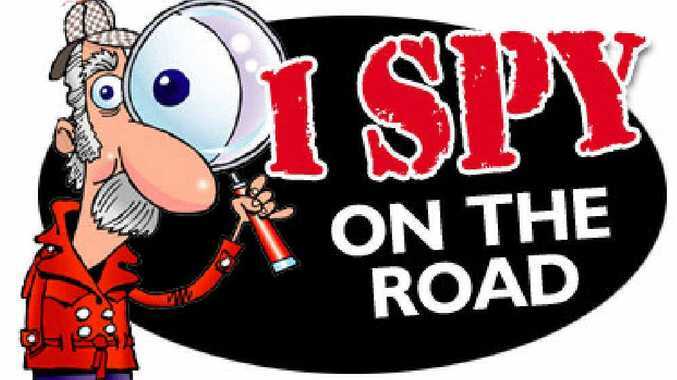 At least 10 truckies Spy spoke to at roadhouses at the start of the month were enthusiastic about Ocsober. But come the middle of the month before deadline for this column, some others admitted they had been tempted and sipped on either beer or spirits. With binge drinking and alcohol abuse on the rise, particularly among young Australians, Ocsober aims to raise money to help Life Education educate more students across Australia on the dangers of drug and alcohol abuse. Every truckie Spy spoke to said they also encouraged either a family member or friend to be alcohol-free during Ocsober. One driver who failed in his bid to observe Ocsober had this humorous quote for Spy. "Well at least now I have a New Year's Resolution to look forward to in a few months time," he said. A group of workers at a roadhouse popular with truckies were deep in conversation after hearing the business had been sold. Spy was sitting nearby at the back of the roadhouse as they pondered their futures. Some had been long-term employees who hoped they would continue their employment. One said he had already accepted he would lose his job. Having been out there again since the takeover Spy can report that most are still working there. IN MY last column I focused on sleep apnoea amongst truckies. One Western Australian truckie who read it told Spy of his own personal experience and how he was diagnosed. He was in hospital for a hernia operation and the next day was told by a doctor he may have it. "He told me they picked it up while I was under general anaesthetic and I went to a GP who sent me to sleep specialist," he said. This fellow is aged just 32 and is a bit overweight. He spent a night in a sleep disorders ward and now sleeps with a breathing machine. "I sleep well now at night even though it was a bit uncomfortable at first. But the specialist said I had a bad case and could have had a stroke or heart attack so I took action," he said. The man is having a break from driving and taking on a job in the office. 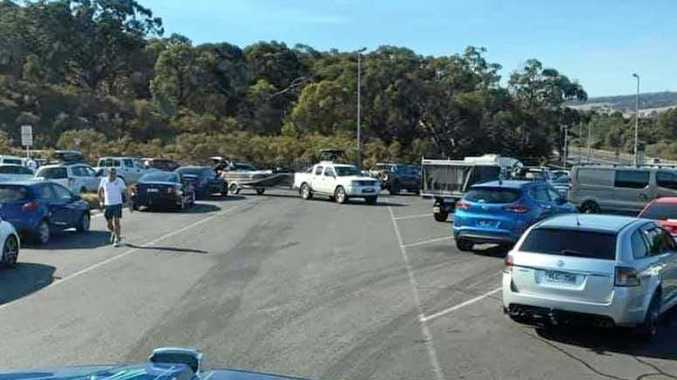 A GOOD Samaritan act by a veteran truckie didn't work out exactly as planned. The driver told Spy of his good intentions to become a knight in shining armour when he came across two damsels in distress at Marlborough in central Queensland during late September. "Two Pommie backpackers were travelling around Oz in a Tarago van and couldn't get it started. So I hooked a chain onto their bullbar and started to pull it. But the lass driving slammed on her brakes and it ripped the bullbar off," he said. It all worked out well as the girls got back on the highway minus a bullbar. FROM several truckies heading southward out of Brisbane comes an incident involving a female hitchhiker aged in her 20s. She was attired in the shortest skirt you could imagine and every time a truck drove past she showed quite a bit of leg. Her presence was the subject of much conversation over the truckies' radio channel. Reports indicated she wasn't there for long before getting a lift. OVER the past month at least six truckies have been very surprised to see Big Rigs correspondents snapping pics at roadhouse parking areas. "I thought you blokes were myths although a lot of the drivers who appear I know," one burly driver said. Big Rigs writers are easily identifiable because of our bright red shirts and are known to many of the truckies at rest areas of roadhouses across the country. Often a truckie being interviewed will direct us to another driver in the nearby vicinity. Many of the truckies we interview have a copy of Big Rigs in their cabin. So you never know when one of us will appear, asking to snap your pic. And it could be anywhere around Oz. A COUPLE of truckies parked at a roadhouse were discussing a fellow driver who is affectionately known by his nickname of "Stitches". One said that he was yarning about patterns while they were having a meal at the eatery. A lady nearby heard him being called Stitches and rather strangely asked him was he a dressmaker. That brought subdued laughter from the trio before Stitches answered the lady, "No, I am talking about gear patterns on my truck".